April 22, 1970, the first Earth Day. An estimated 20 million persons demonstrated their support for environmental concerns during this nationwide event sponsored by Wisconsin Sen. Gaylord Nelson and coordinated by Denis Hayes. The vast local turnout for this nationwide environmental ‘teach-in’ involved events held at 2,000 colleges and universities, as well as local citizens calling for protection of land, air and water. The message had gotten louder, to the point where large corporations are standing up and financially supporting a variety of programs in recognition of what we all value. DB Schenker has been a leader in this change. DB Schenker Americas’ committed Environmental Team, Brenda Kelly & Deniz Tanacan, have started the celebration early. Changing habits towards greener solutions starts one day at a time. To spark change, the team has put together a contest for employees throughout the Americas from Panama to Pacoima. 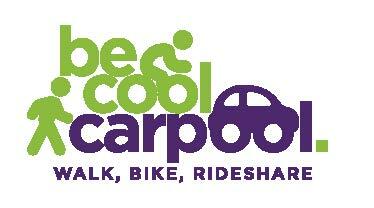 The focus is transportation: bike it; walk it; carpool it; or public transport it. These acts of green are documented with photos and logs. Health: by biking or walking to work, you get your daily workout and stay healthy and fit. It’s a win-win for people and planet.